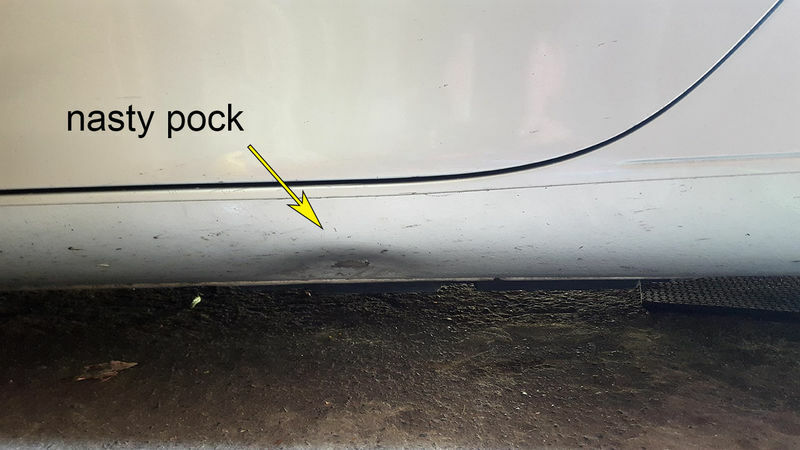 I've had this large dent in my rocker panel ever since I bought the car 3½ years ago. 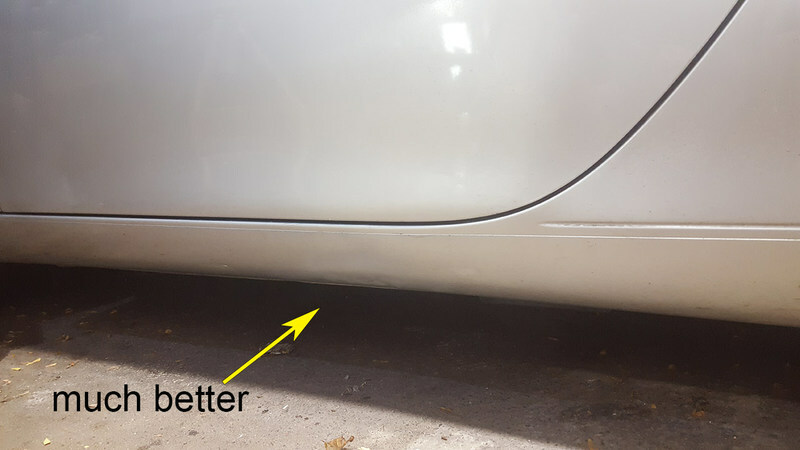 Thought I might try my hand at some Paintless Dent Removal. Tools: piece of 1X3 pine; short length of 1 inch dowel; hot glue gun and sticks; some screws and 2 jacks (optional). Pictures are self-explanatory. 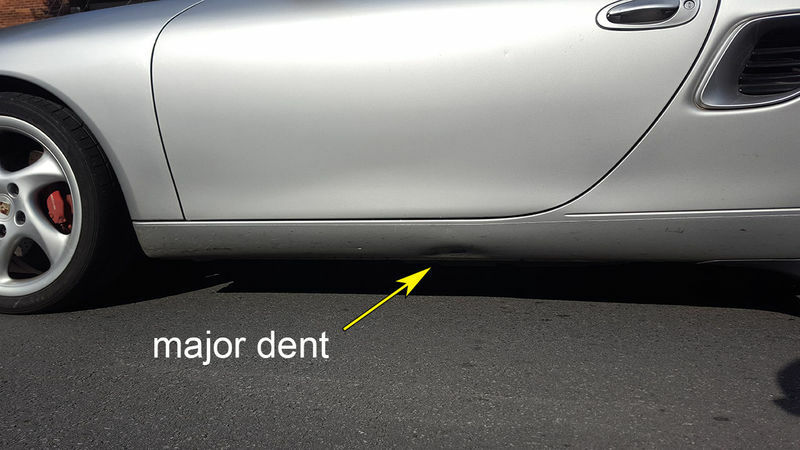 It took about 5 pulls in various spots in the dent, starting with the deepest part. I finished with a bit of glazing putty and some paint, it could have been nicer with a little more care with the sanding and finishing. I'll get back to that during the long winter months! 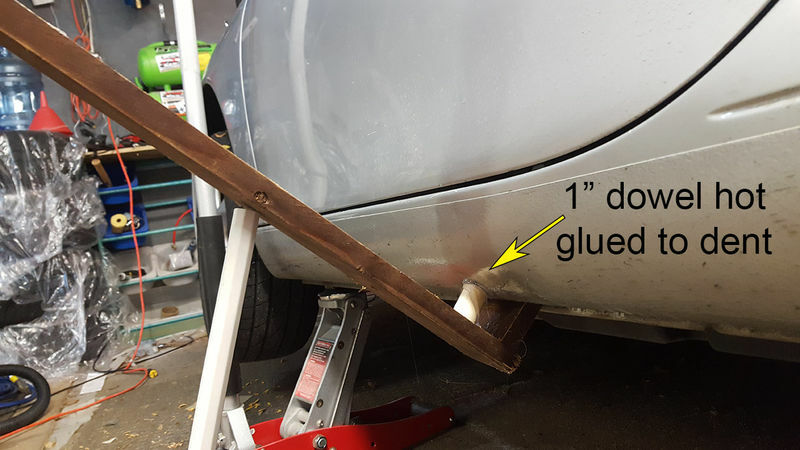 I've never heard of anyone pulling a dent with a hot-glued dowel before. No reason why not, though, as proven by NewArt. Good job! So is that long wood stick the lever you use to pull the dent? Is the dowel screwed to the lever? You said it took a few pulls so does that mean the dowl comes unstuck after each pull and you glue it back for the next pull? I love the simplicity of this method. No fancy tools required. Nice! JB, the answer is "yes" to all three questions. A quick forceful pull brought the dent out and unstuck the glue from the car. 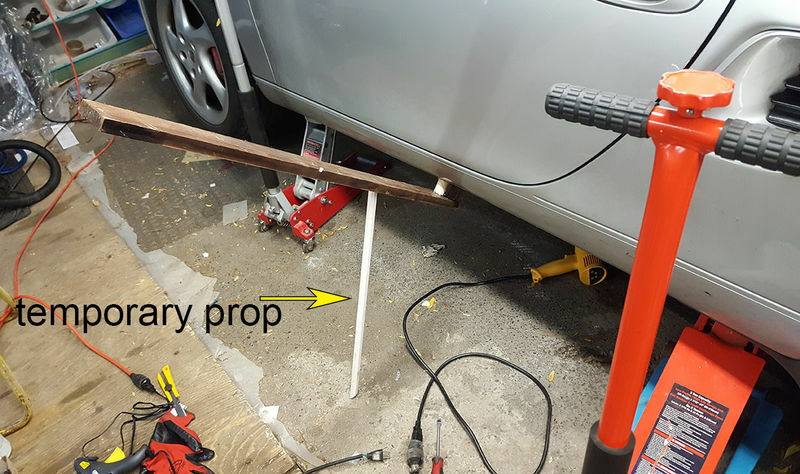 I cut away any excess glue from the dowel before regluing it to the car.